Homebrain developmentLake County State’s Attorney Mike Nerheim leading way on overdose death prevention! 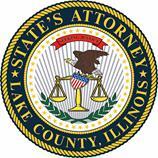 Lake County State’s Attorney Michael G. Nerheim announced that the Lake County Opioid initiative has equipped and trained thirty-two police departments, including the entire Lake County Sheriff’s Office with the tools to reverse opioid overdose via the use of Naloxone. The program enables law enforcement personnel to carry the antidote in their squad cars and utilize it when responding to overdose situations. “We want community members to know that their health and safety comes first. When it comes to overdose, time is of the essence. It takes four minutes for the brain stem to die making it critical for police arriving to the scene first to respond swiftly. This program has broken down a massive social barrier and allows users plagued by addiction with the chance to seek treatment,” said Chelsea Laliberte, Executive Director of Live4Lali, which provides free community Naloxone and drug education. Naloxone, also known as Narcan, is used to counter the effects of opioid respiratory suppression/overdose. Currently, there are three forms of Naloxone administration available to program participants. The intranasal form delivers a mist of naloxone to nasal mucus membranes. The auto-injector, is a self-contained version providing visible and voice instructions. Finally, the intramuscular version is injected with a retractable syringe. “The opioid epidemic sweeping across our county has no borders. It is affecting even the most affluent communities. Protecting life is at the center of every police department’s mission and by equipping our officers with Naloxone, we are taking a significant step forward in saving lives from opioid overdoses.” “It will give us the greatest chance of saving someone’s daughter, son, father, or mother. We’re actively working to be part of the solution of a larger problem throughout Lake County and beyond,” said Eric Guenther, Chief of Police, Village of Mundelein. “The deployment of Naloxone in law enforcement provides another tool to break the cycle of the heroin epidemic which without intervention can in many instances result in death. Saving lives provides opportunities for treatment and re-engagement in the community and in life,” said Undersheriff Raymond Rose. The Lake County Opioid Initiative’s (LCOI) mission is to develop, implement, and sustain a multi-strategy countywide effort to prevent opioid use, abuse, misuse, addiction, overdose and death. LCOI has developed a strategic plan and completed the first phase of its goals. In the second phase of the comprehensive plan, we aim to expand communications countywide via a text-a-tip line, which is expected to launch in February 2015. The goal of the program is to connect community members with critical healthcare and treatment services if and when they encounter an issue related to substance abuse, mental health, suicide or other traumatic incidences. If anyone suspects that an individual is suffering from an overdose, please do not hesitate to dial 9-1-1 immediately.